Raff Sangiorgio is a guitarist from Italy and I think that people who are into death metal might already know his band under the name GORY BLISTER. He has already released 6 studio albums with GORY BLISTER and now he felt the need to express himself in a different way without though getting away from his heavy metal roots. “Rebirth” is his first studio project and it is an instrumental album where Raff tries to combine his knowledge and skills in order to create compositions that can be enjoyed both by musicians and simple music fans. It is really interesting that he doesn’t abuse his skills, but uses them in ways that give depth and variety to the compositions. One other thing that is worth mentioning here is that Raff manages to combine old school and modern elements in his sound. It is obvious from the first moments that the album flirts with the modern speed/thrash metal sound and also has a strong blues/rock influence. I think that a mixture of modern metal and blues elements is something quite original for an instrumental album and Raff manages to combine these elements in a very functional and beautiful way. 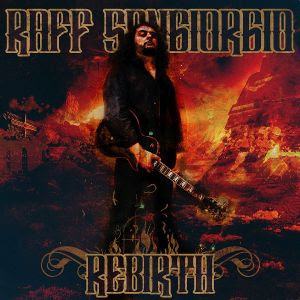 “Rebirth” is a very enjoyable and original album of instrumental music that can be attractive for both fans of melodic and extreme metal and why not, even for blues/rock fans. Αναρτήθηκε από Nick Parastatidis στις 7:41 π.μ.